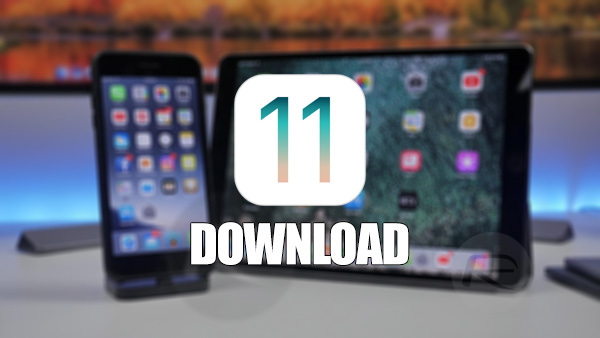 iOS 11 download final IPSW links and OTA update for iPhone, iPad and iPod touch devices is now live and available for everyone. 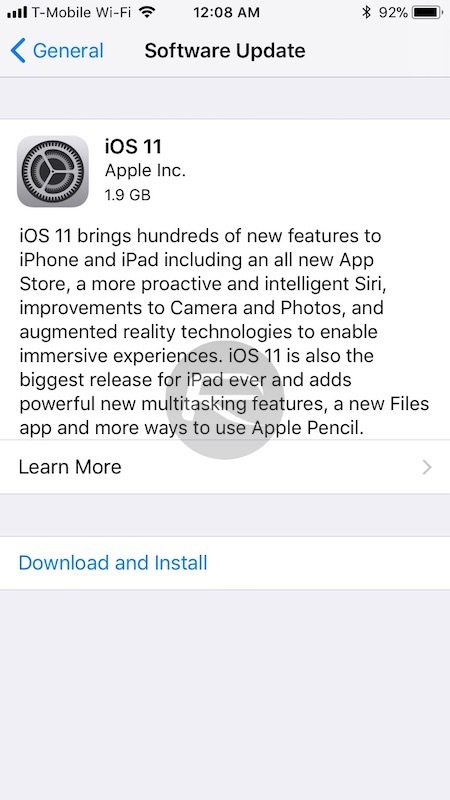 After a prolonged developer and public beta testing period which stems back to June, Apple has now made iOS 11 available for compatible iPhone, iPad, and iPod touch devices. Apple’s millions of developers located around the world have most definitely heard about iOS 11 and everything it looks to bring. Those same developers have been putting the effort in over the last two months to ensure that all bugs and issues are reported back to Apple, in order to continue the development of the platform and release timely fixes. That beta testing period has also been helped along by a set of conscientious public testers who have not only enjoyed getting early access to iOS 11 but also being part of the pivotal process of helping to shape the platform a wider global release. It’s fair to say that iOS 11 isn’t representative of a total overhaul of the firmware which powers millions of Apple’s devices around the world, but it definitely brings enough change to warrant a round of applause and a sense of pride internally within Apple. From a feature perspective, device owners can expect to welcome in new drag & drop features, an improved Docking experience, as well as enhanced multitasking for iPad. It’s really that new drag & drop feature that will make the iOS 11 iPad experience really pop. Apple has also introduced a brand new Files app which gives instant access to files stored in iCloud, as well as other third-party cloud storage solutions like Dropbox or Box. iPad users continue to get a great deal with Apple Pencil improvements, as well as a new markup feature that’s utilized throughout the system for amending notes in the Notes app and even highlighting things on captured screenshots. And, of course, who could forget the stunning integration of Apple Pay into the Messages app which allows instant peer-to-peer payments using a card held against Apple Pay on that device. There is literally tons and tons of new features throughout the platform, as well as a seemingly endless amount of smaller refinements and improvements. And you are in the fortunate position where you can get the update for your compatible device right now. For detailed instructions on how to do a clean install or a quick OTA update, check out instructions here: Download iOS 11 Links & Install On iPhone 7, 7 Plus, 6s, 6, SE, 5s, iPad, iPod [Tutorial]. Update: Today’s released build has same version number as GM. Is it different from GM? actually it isn’t not yet officially released, even on the developer site. atm it is only the GM itself. If Apple not changed anything in the last few minutes, it should be the same. Build 15A372 = GM! Why did you post the GM links? These are not the final. Apple is NOT going to release iOS earlier than scheduled. You are about to cause some mass confusion with this. Agreed. Stopped the download after seeing the comments. which still has issues. =-/ should still be considered BETA. Hi, you mean that the final release and the GM have the same build number? yeah it runs good when it wants. 1) when i received a call, the number appears but not the name of the caller (even though the name is already in my contact list). 2) my country Brunei having prefix of +673 was shown as a call from Brazil. 3) when i made a call to my home, using iOS 10.3.1 and below, without using the international prefix, i can see that i’m calling my house, but now it will just show as “others”. Does anyone have the same problem(s) as mine and possibly the solution?? will try to reset everything and hope that will work. haven’t checked if my wife’s 6S Plus having any of the problems as mine.